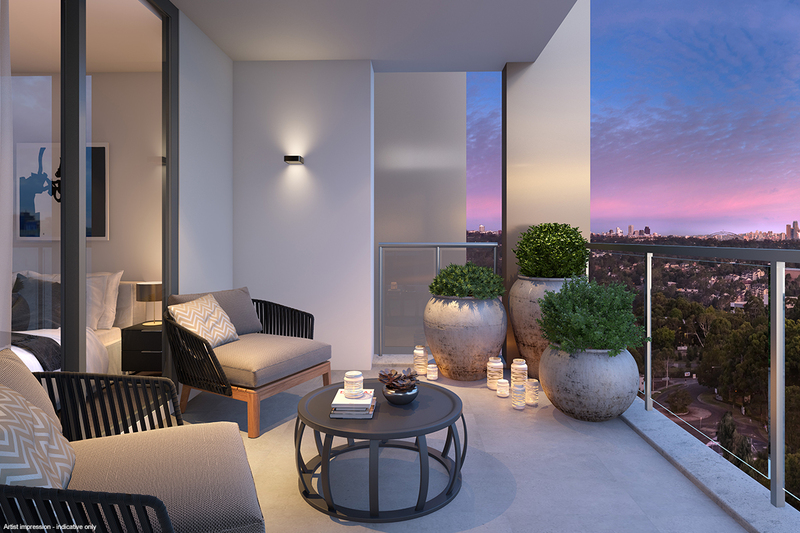 One of the best things about living in Sydney is the weather, so being in an apartment with access to an incredible outdoor area, be that a balcony, rooftop or garden, is a must for having the best lifestyle that the city has to offer. 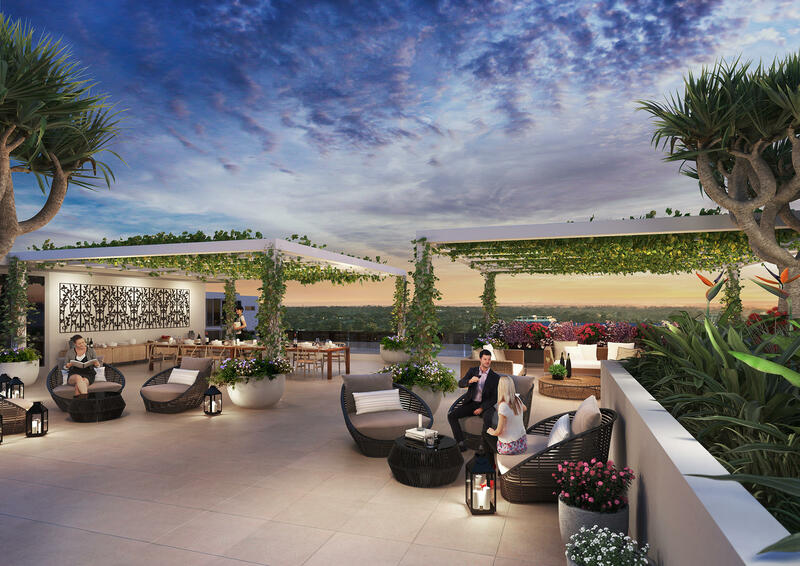 Check out these apartments all over Sydney and currently on the market with enviable alfresco zones. The oversized plant pots and delicately placed candles you’ll have to organise, but the views from this balcony in Centrale will take care of themselves. Find out more about Central. The beautifully manicured gardens at Pavilions will be your go-to place for a quiet stroll, reading a book in the grass, and having a picnic with friends. You’ll never need to go to the park again. Find out more about Pavilions. The rooftop at The Banks is perfect for hosting a few friends in the summer. Picture yourself popping a bottle of champagne to celebrate a special occasion with the sun shining and the city views offering the perfect backdrop. Find out more about The Banks. As apartment amenities go, this pool and sundeck area is pretty impressive. Imagine yourself basking in the summer sun with a cold drink in hand after a refreshing dip in the pool – all in the comfort of your own apartment building. Find out more about Esplanade Norwest. This apartment is perfect for those who love to bring the outdoors inside. The seamless flow between the open-plan living space and balcony mean you can enjoy the beautiful weather, even if you’re cooking in the kitchen. Find out more about No.1 Carlingford. With a patio this large, you essentially have two living rooms – one indoors and one outdoors. During warmer weather, eat dinner under the stars or enjoy a glass of wine in the summer breeze. Find out more about Newmarket. A garden rooftop with comfortable lounge seating and a formal dining setting, all surrounded by lush vines and flowering plants, is the dream. And yet, at Atrium, it’s a reality. Find out more about Atrium. Has the warmer weather got you wishing you had an apartment with a breathtaking outdoor area? Click on any of the apartment developments above to enquire or browse more Sydney developments here.